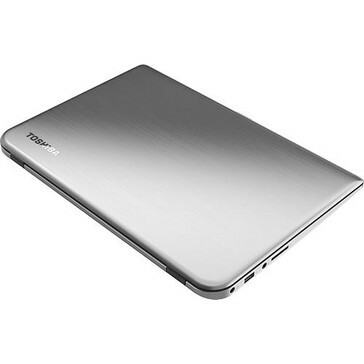 Toshiba's new ultrabook made of aluminum, the Satellite E45t, goes on sale today at BestBuy and ToshibaDirect. Toshiba announced the 14" Satellite E45t less than a week ago, together with the 15.6" Satellite E55t/E55Dt. The 14" model can be purchased starting today, while its larger brother is expected to become available during September, most likely at IFA 2013. 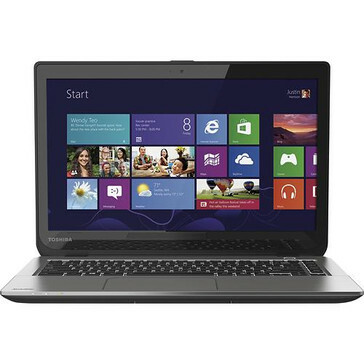 Compared to other ultrabooks that offer a lot of choices, the Toshiba Satellite E45t has virtually no options, Best Buy listing a single setup at this time. It has a weight of 4.6 pounds and measures 13.4 X 9.2 X 0.8 inches. On the inside, we find an Intel Core i5-4200U CPU, with 6 GB of DDR3 memory as standard, expandable to 16 GB. The 14" touchscreen has a resolution of 1366X768 pixels, while storage is being provided by a 500 GB hard drive and a 32 GB SSD. Unfortunately for some, there is no optical drive included. Obviously, the Satellite E45t comes bundled with Windows 8 64-bit. When it comes to connectivity, there are no surprises - the Satellite E45t offers two USB 3.0 ports and one USB 2.0, Bluetooth 4.0, 10/100 Ethernet and Intel Centrino Wireless-N 7260. The surprise that this ultrabook offers is called Dragon Assistant. This voice recognition tool allows people to easily search the Web, find local content or launch various applications without even touching the keyboard or the screen. The Toshiba Satellite E45t retails for $699.99 at Best Buy and it is not listed yet on ToshibaDirect. 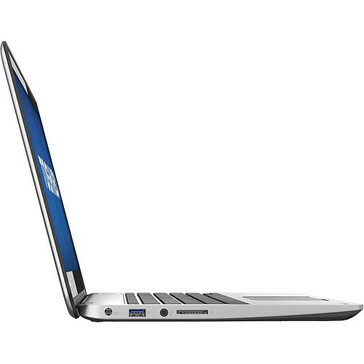 When purchased from Best Buy, the ultrabook has 1 year limited warranty and comes with free shipping. IRVINE, Calif.—July 29, 2013—Toshiba's Digital Products Division (DPD), a division of Toshiba America Information Systems, Inc., today expanded its portfolio of ultrathin laptops with the new 14-inch Satellite® E45t and 15.6-inch Satellite E55t/E55Dt models. Built with the latest technologies and intuitive touchscreen and voice controls, these ultrathin PCs offer versatility for both productivity and entertainment in a distinctively thin design. "Thin is in," said Carl Pinto, vice president of marketing, Toshiba America Information Systems, Inc., Digital Products Division. "Our expanding line of ultrathins is designed to be more accessible to consumer looking for a thinner, more stylish PC that delivers the same class of performance and features as a traditional laptop—at a price point that is competitive with a traditional laptop." The Satellite E Series features a sleek, yet durable brushed aluminum casing with Toshiba's modern Skyline design and stand at less than an inch thin. 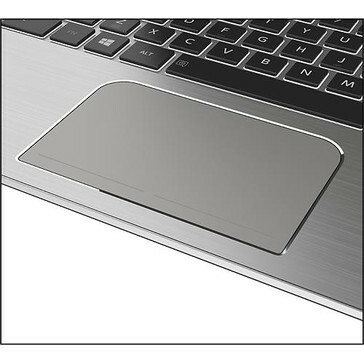 Both also include reinforced LED backlit keyboards, making typing comfortable in all lighting environments. 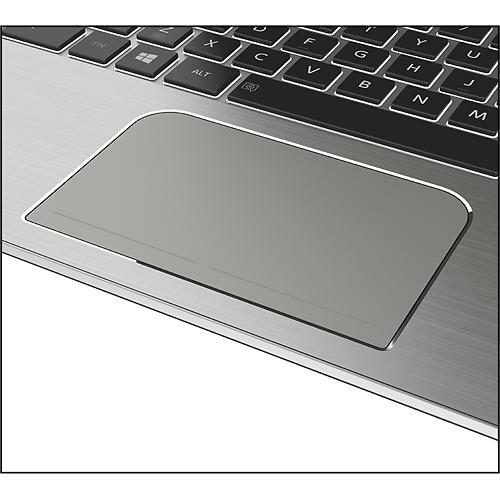 The 15-inch models also include a built in 10-key numeric pad, great for productivity applications. Dragon Assistant™ on Ultrabook™ models leverages the power of speech recognition technology, giving users the freedom and flexibility to control applications using their voice. Simply speaking, "Hello Dragon," launches the assistant and allows people to search the Web, find content on their laptop, play music and movies, check and reply to email, update Facebook and Twitter, make Skype™ calls and even shut down, restart or put the laptop to sleep. Satellite E Series models feature touchscreen displays with 10-finger touch support, ideal for interacting with Windows 8. The Satellite E45t features a 14-inch diagonal HD display1, while the Satellite E55t/E55Dt features a 15.6-inch diagonal HD display1. Smart Multi-tasking. Superb graphics performance. Excellent Battery Life. The Satellite E series offers a choice of the latest processors from Intel and AMD. Models equipped with 4th generation Intel® Core™ processors2 deliver smart multi-tasking and stunning visuals, as well as the latest Ultrabook technologies, including Dragon Assistant voice control technology, Intel Smart Response technology and Intel Wireless Display3. Models equipped with AMD Accelerated Processing Units feature the quad-core A6 APU, which brings fast and fluid performance along with the graphics horsepower of AMD Radeon. Battery life ratings are optimized for life-on-the-go, ranging from 7 hours and up4, depending on model and processor. Unlike many other thin-and-light laptops, the Satellite E series includes generous local storage option ranging from 500GB to 750GB5. Both ultrathins feature all the essential ports, including HDMI®, Ethernet, SD Card slots and two USB 3.0 ports6, one with USB Sleep & Charge7, and one USB 2.0 port. Configurations also include powerful dual-band 802.11ac Wi-Fi®8, and stereo speakers with DTS® Studio Sound™ that provides rich audio performance optimized for music and movies. The 14-inch Satellite E45t will be available on August 4, 2013, exclusively at Best Buy stores, BestBuy.com and Toshiba Direct. 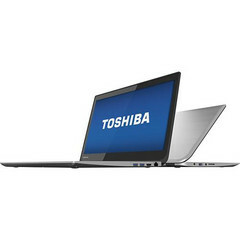 The 15.6-inch Satellite E Series will be available in September 2013 at major retailers and e-tailers nationwide and direct from Toshiba at ToshibaDirect.com. Pricing for the Satellite E55t/E55Dt will be announced closer to availability. Connect with Toshiba on Facebook at www.facebook.com/ToshibaUSA, on Twitter at twitter.com/ToshibaUSA, and on YouTube at youtube.com/ToshibaUS. © 2013 Toshiba America Information Systems, Inc. All product, service and company names are trademarks, registered trademarks or service marks of their respective owners. Information including without limitation product prices, specifications, availability, content of services, and contact information is subject to change without notice. All rights reserved. 3. Intel® Wireless Display. Copy protection technology, if any, associated with the content may prevent or limit viewing of content. 7. The "USB Sleep & Charge function" may not work with certain external devices even if they are compliant with the USB specification. In those cases, turn the power of the computer ON to charge the device. 8. Wireless. May require purchase of additional software, external hardware, or services. Transmission speeds may vary. Certain optional features within the Wireless-N specifications (if available on your system) may not be supported.